The Owl Stool Kit 18"
Don't think stool. This is an ergonomically designed stool, doctor evaluated postural support, which eases both spine tension and sitting pressures. An aesthetic balance has been struck between beautiful form and healthy spinal support with this stool. 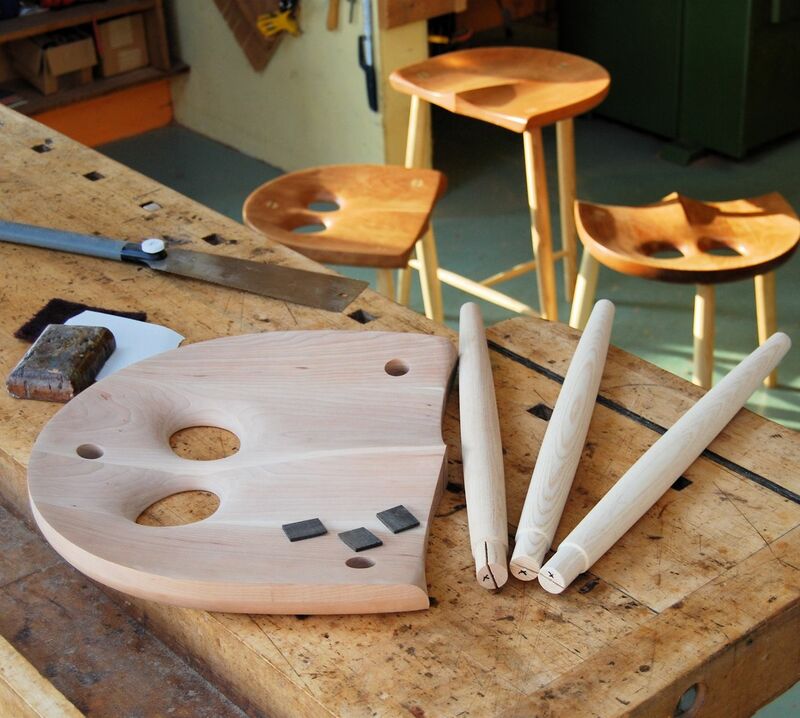 I typically make this stool in cherry or walnut wood, with ash legs - you choose! There is more here that meets the eye with this stool. This is a composition of fine woodworking and ergonomics which provides the ultimate in seated comfort and spinal balance. Dimensions: 18" x 17" x 15"